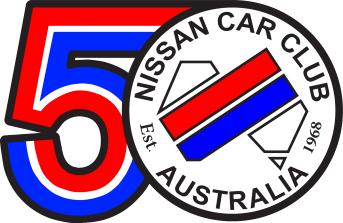 CAMS (Confederation of Australian MotorSport) is the governing body of motorsport activities in Australia. CAMS cover sports from the Australian Rally Championship all the way down to club level events. A basic CAMS license will let you compete in things like Motorkhana's, Autocrosses, Sprint races and introductory event Rallies. A higher license level is required for more advanced competition within some categories. When you purchase a license you will also need to purchase a CAMS Manual of Motor Sport. This book is published yearly and includes all rules and regulations for all types of motor sport. If you have any questions regarding regs, this is the book! The next thing is a car! Almost any car in decent condition can be used for starting out, some people use their daily driver. Some sports require safety gear such as fire extinguishers and helmets. The faster and riskier sports require more safety equipment. If your unsure of what is required for a particular event, get hold of the Supplementary Regulations (Supp Regs). They are published by the club organising the event and include information like entry fees, names of officials and car and driver requirements. If you are interested in joining the NCCA or would like to get in touch with our club's representative in your area of interest - use our Contact Page to get started! An autocross is a speed event incorporating timed laps around a circuit, usually unsealed. An autocross is bigger than a motorkhana (up to 2 kilometres) which allows higher speeds. However like a motorkhana, drivers can be as young as 14 years. A 'speed' category CAMS license is required however. Do you like Motorkhana's or Autocrosses but want longer road time? Do you like getting sideways on the dirt? Usually conducted in forests, rallying includes all kinds of road surfaces and speeds. Rallying also incorporates a navigator, who instructs the driver which way to go (hopefully the right way). An event is split between competitive stages and transport stages. Transport stages are used to get the car from one competitive stage to the next. The competitive stages are where the fun is at. As with other sports, rallying is against the clock. If driving or navigating is not your forte, how about joining a service crew? Cars get service stops that allow a refuel, general check and any repairs that might need to be done. Or how about helping with the rally itself? Volunteers are a vital ingredient in any event, and give you the oppurtunity to have your own private area right next to the action! Great for photos. Rallies have more requirements than a simple motorkhana. Things like a rollcage and vehicle log book are a must for most events, however there are some introductory events each year that allow a car with basic safety items to compete. This gives you the chance to taste the sport without the expense of fully setting up a car for rallying. A great source of information is our own Rally Manual. This booklet contains info on just about every aspect of rallying from navigation principles and types, to vehicle preparation and rally "speak". Want to drive your street car on great tracks such as Phillip Island, Sandown and Winton just like the V8's? Sprint racing gives you that opportunity. Want to drive at full tilt on a proper racetrack with no speed cameras? Again, with sprint racing you can. Sprints are time trials held on real race tracks. While you are not 'racing' against other drivers, there are other cars on the track. Cars are usually divided up into classes, depending on your engine capacity and driveline. As you go around, race control records everyone's times. Safety isn't neglected though, as flag marshalls and first aid officers are also on hand. Sprints are the perfect way to test both your driving skills and car capabilities without the fear of speed cameras and unsuspecting motorists. Any car can compete, but some safety equipment is usually needed. Things like a secondary bonnet catch (bonnet clips), a helmet and sound vehicle condition (no leaking pipes) Those fluffy dice with also need to come down. Cars are scrutineered at the beginning of the day, to check each vehicle is safe to drive. With a higher grade CAMS license you can compete in proper races against other cars. Sprints are grouped into "speed" events which also include Hillclimbs and regularities.